BBQ - North Carolina barbecue is always pork cooked over a wood fire, never prepared in a sauce, and usually served with slaw and hush puppies. POTTERY - The state's potters are all over North Carolina, working in the historic production styles and in contemporary studio styles. TOPOGRAPHY - North Carolina owns some of the oldest mountains in the world. Also the largest sand dune on the East coast, and wonderful beaches and islands. There are three major geographic areas of the state, the coastal plain, the piedmont, and the mountains. All three areas differ radically from the other, but all three are great to visit on vacation, or try to visit all three areas in one vacation! COASTAL PLAIN - Historically the beaches and channels of North Carolina seemed dangerousto settlers because of the ever changing currents and waterways. Fishing, boats, and beaches are the most popular excursions for vacationers. PIEDMONT - The piedmont is mostly rolling hills and red clay. Historically, the narrow, swift streams of the piedmont were great for generating power, which accounts for the manufacturing activities that flourish in the piedmont. Visit tobacco museums, furniture showrooms, and more outlet stores than one can count. HOLDEN BEACH - With over 8 miles of clean, sandy beaches and a year around moderate temperature, the island attracts visitors who want to experience a unique quiet family atmosphere. Holden Beach is a great spot for biking, sailing, jogging, shelling or simply enjoying a good book. Dotted with lovely beach rentals it is a great retreat. 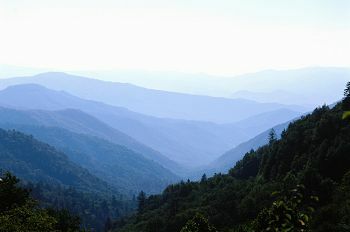 MOUNTAINS - North Carolina owns some of the highest mountains in the Appalachians. The mountains are the richest source of handcrafts in the state. The state offers hiking, white-water rafting, water-skiing and snow skiing, freshwater and saltwater fishing and boating, athletics, auto racing, horseback riding, and golf on some of the most famous courses in the country. So saddle up and have fun in North Carolina!